To start, defrost the turkey, wash well and let dry off over a baking tray. Don't forget to remove the innards and double-check to see if some of the innards are stored in the neck. 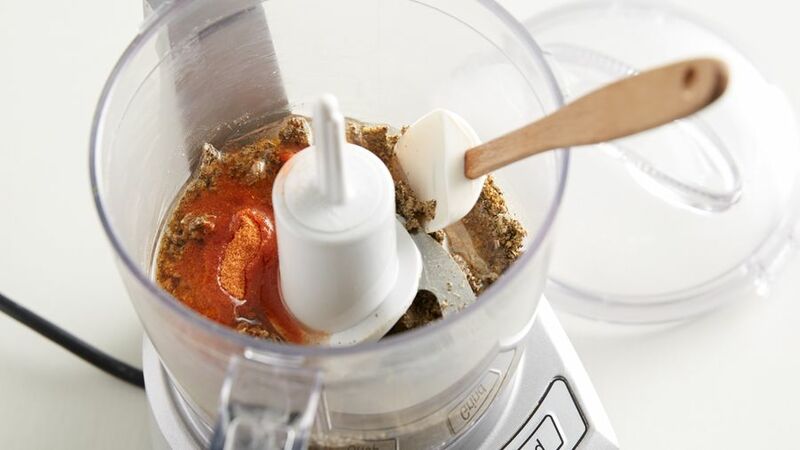 Next, crush the garlic in a food processor or mortar and pestle, together with the salt, pepper and oregano. Afterwards, add the olive oil and achiote seasoning; mix well and set aside. Place the turkey over a firm work surface and carefully remove all the skin, especially from around the breast section. Make various small cuts around the sides and over the turkey legs, then completely cover the turkey with the prepared marinade sauce. 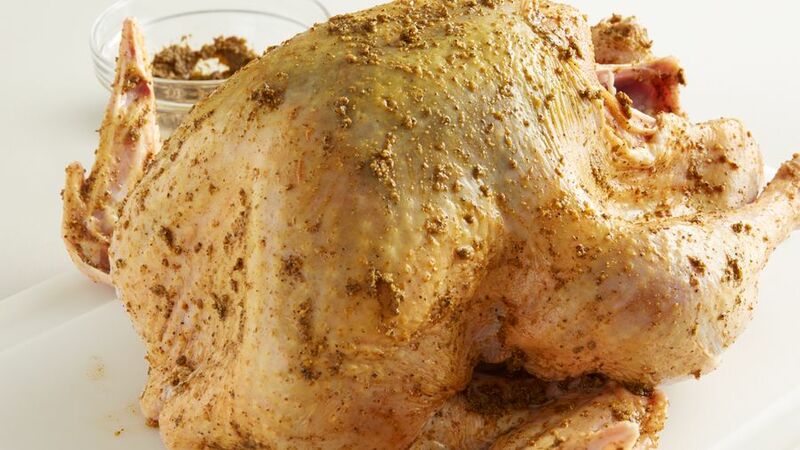 Once the turkey is dressed, cover and store in the refrigerator until ready to bake. 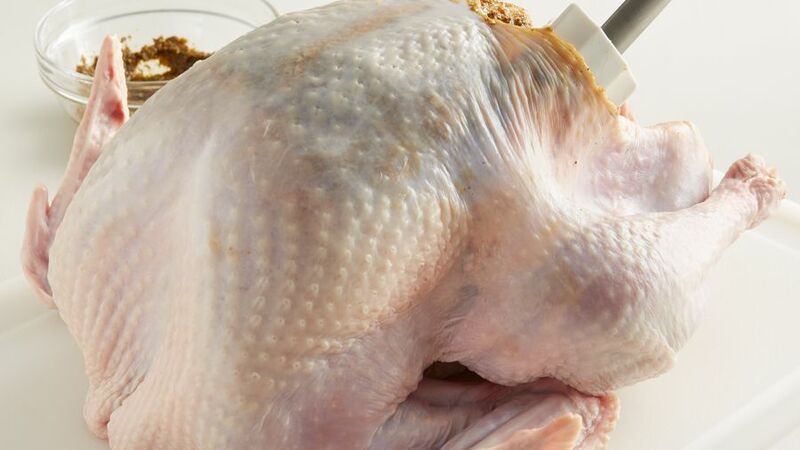 If you plan on stuffing the turkey, make sure the stuffing is completely cold and placed inside just before cooking-this will help avoid cross-contamination. To finish, bake for approximately five and a half hours at 350°F. You can also use bacon to wrap the turkey breasts and legs. Achiote oil can be used as a substitute for the packages of seasoning. 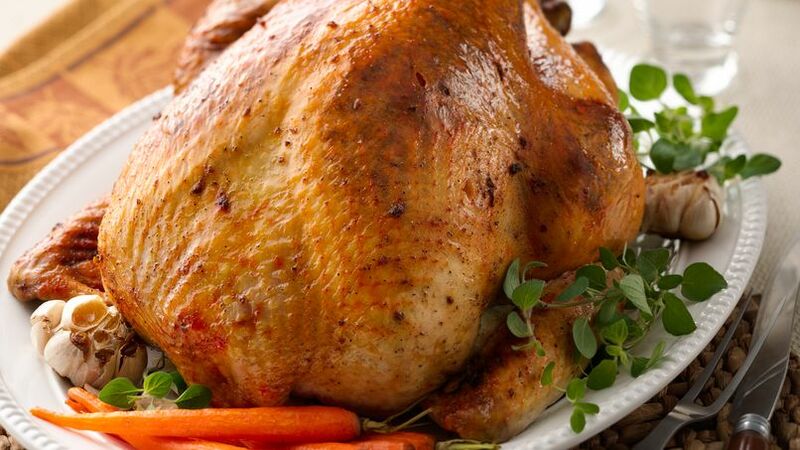 Since Puerto Rico is a territory of the States, we celebrate Thanksgiving with the traditional turkey for dinner. But when the time comes to season our turkey, we like to give it a toque of Puerto Rican sazón. It's dressed in the same was as our delicious lechón asado (roasted pork,) which gave rise to the name “Pavochón”- a combination of the Spanish words for turkey (pavo) and roasted pork (lechón.) This style of turkey preparation originated in the lechoneras or local (pork) restaurants on the island, made to attract customers who don't prefer pork.